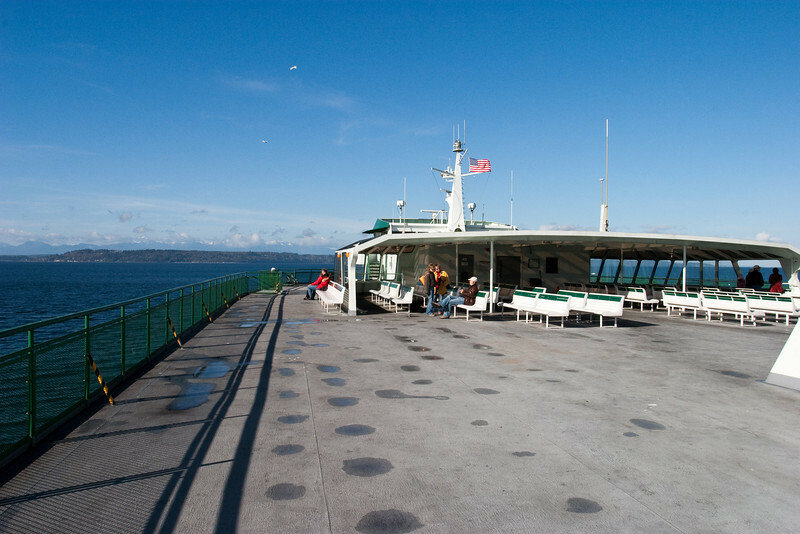 We took a road trip around the Kitsap Peninsula, taking the ferry from Edmond to Kingston. We stopped in Poulsbo, settled largely by Norwegian immigrants. And we drove up to Port Gamble, which was a saw mill community settled by a large clan from Maine, and deliberately reminiscent of a New England village. On the way back, we had some magnificent views of Mt. Rainier, "the Mountain was out". From Kingston, Seattle is about 15 miles away, and Mt. Rainier 75 miles.